© 2019 KTHV-TV. All Rights Reserved. Puppy Up Foundation fundraises for research (comparative oncology) that looks at similarities between human and canine cancers because dogs are getting the same cancers as humans. LITTLE ROCK, Ark. (KTHV) – Do you have a four-legged canine family member? A lot of us do, and some may know what its like to have a dog with cancer. So, to bring awareness and education others on canine cancer, there’s the perfect event this weekend. It’s called the Puppy Up Walk and Silent Auction. Lots of dogs, over 20 vendors, and over 250 Silent Auction items. 12:30 p.m. - Ceremonies with human and canine cancer heroes. Willow Gill, 3, (human) is fighting Leukemia and 10-year-old George Bailey, a Golden Retriever, who is fighting melanoma will be honored. Top prizes for top fundraisers. A Little Rock Police Department K-9 Officer will make an appearance. 1 p.m. - Actual Walk around MacArthur Park to honor those we have lost and those who are still fighting. 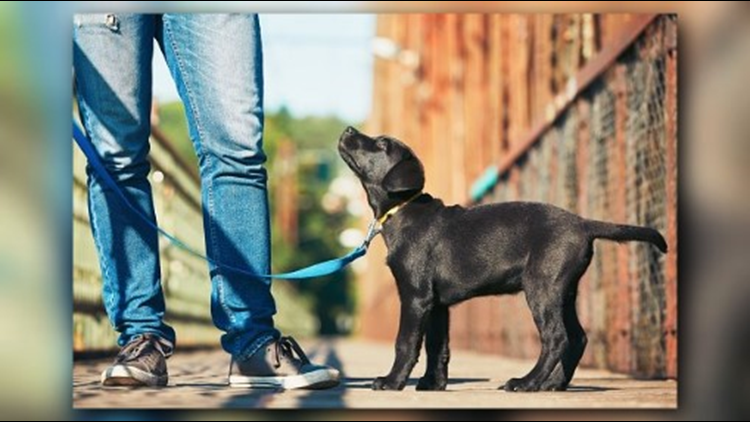 The founder of the Puppy Up Foundation, Luke Robinson, who walked from Austin to Boston to raise awareness of canine cancer will be there with his 2 great Pyrenees. Luke has already lost 2 dogs to cancer and a third dog, Hudson, who walked with him from Austin to Boston, was just diagnosed yesterday with a mast cell cancer. The event is set for Saturday, November 10 from 11 a.m. to 2 p.m. at the MacArthur Park Pavilion.